The very lovely people at R+S have finally seen fit to reissue this seminal collection Detroit techno/electro auteur Juan Atkins, and in fully buffed and polished remastered form too! 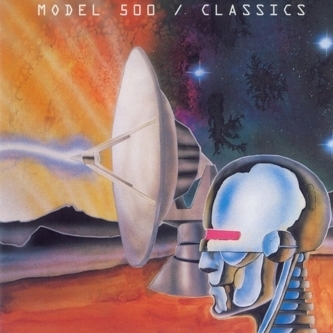 'Classics' was originally released in 1993 via the legendary R+S imprint and was the first record to compile the early solo work of Juan Atkins post Cybotron, including the legendary cuts from 'No UFO's', 'Off to Battle', 'Night drive' and 'Electronic' through to 'Ocean to Ocean' in instrumental form and 'techno music', basically exactly the same as the original CD issue in case you were wondering. There's not a lot more we need to tell you about this record, it's just Detroit Gold, emotive, dance rocking and over all, amazing. Well recommended.